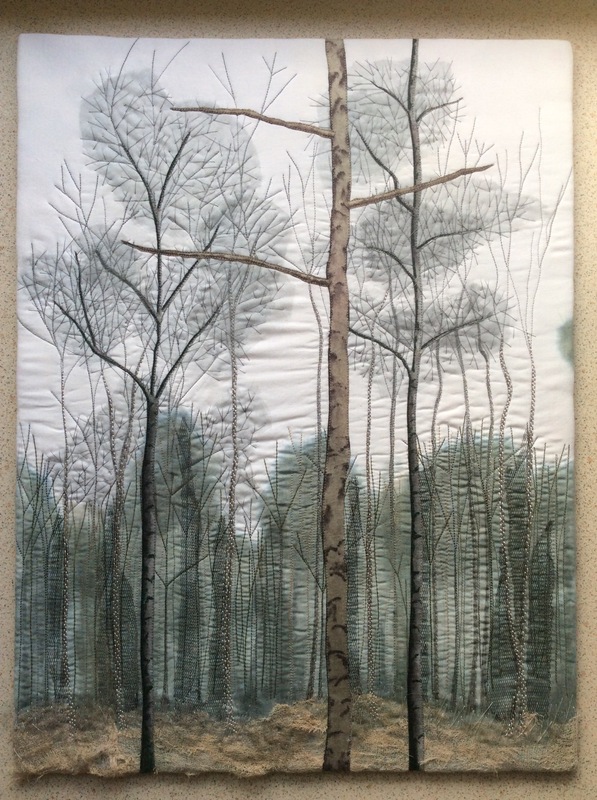 My Three Tall Trees quilt is finally finished……I think. 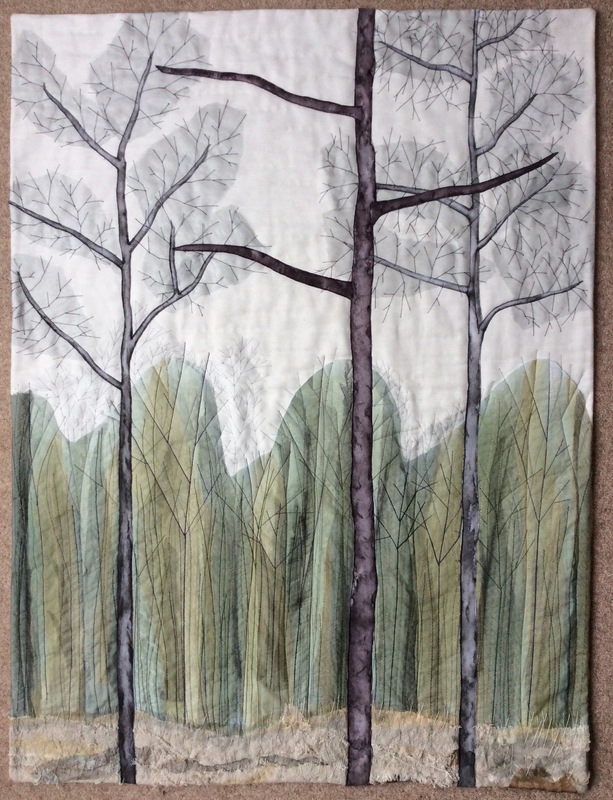 I haven’t put as much detail into this 30″ x 40″ quilt as I did the smaller 30cm x 40cm version, however there is the possibility that at some point before this is handed in for the David Hockney Challenge I just might add to it. Thanks Sharon, it is a magical place and a good source of inspiration.